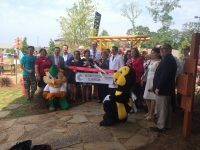 Lone Star Family Health Center (LSFHC) is the first Certified Nature Explore Classroom created at a family health center. A ribbon cutting and dedication ceremony was held on Arbor Day, Friday April 29, 2016 with a special performance by the Chikawa Aztec Cultural Dance group. 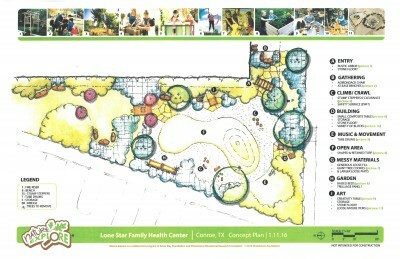 Founded in 2002, Lone Star Family Health Center is a 501c3, non-profit, Federally Qualified Health Center with a vision of creating a healthy community through a supportive and inclusive care environment and through the education of well-rounded and compassionate family physicians. 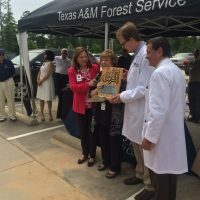 Their mission is to “provide high quality, easily accessible health services to the underserved and the community at large” and serves 50,000 highly underserved/underprivileged patients per year. 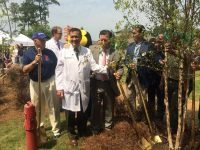 The health center’s main location is at 605 South Conroe Medical Drive next to Conroe Regional Medical Center with satellite clinics in Spring and Willis, TX. 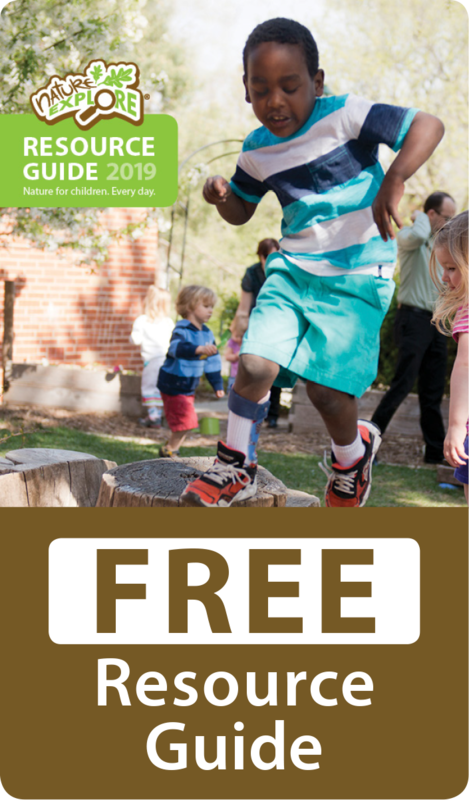 Through a National Environmental Education Foundation (NEEF)/U.S. 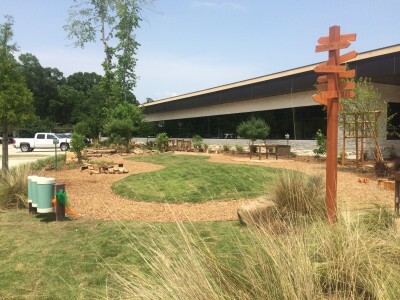 Forest Service Grant, and in partnership with Dimensions Educational Research Foundation and Arbor Day Foundation’s collaborative Nature Explore program, a nature-based play/learning space has been created adjacent to the Health Center and is used as an extended waiting room for families with young children as well as a space for mental health professionals in their counseling work.